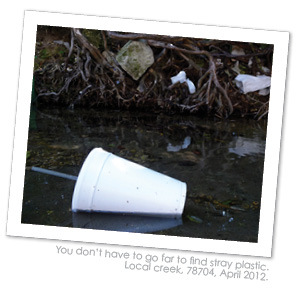 TOGOCO is a business that supplies compostable to go products to the vibrant food and beverage services of Austin. 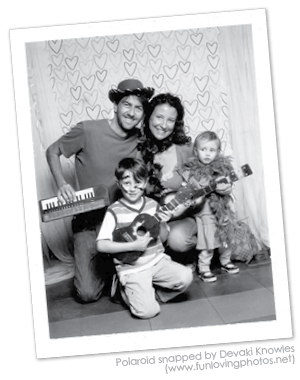 TOGOCO is a family run, green business, distributing out of South Austin. Ali and Neal Farnell started TOGOCO in the summer 2009. We started this business to promote more sustainable practices and to create something that brings a positive change. We also wanted to provide for our family in an independent and ethical way. We had a growing disdain for Styrofoam and other plastics; especially those used so freely in food and beverage services. We are part of an increasingly disposable society who unwittingly resorts to this material for a 5-minute snack or a nice refrigerator holiday for that never to be eaten half sandwich. Knowing that much of this waste will still be lingering somewhere in our environment long after we are gone…we figured this would be a satisfying and necessary take down. TOGOCO supplies compostable to go products. Our products are one-time use disposable products, like a cup, clamshell or fork, which are constructed only from plant-based materials; which means Petroleum free, made from plants, food friendly and compostable. Many products in the main stream are either made from petroleum plastic or are coated and lined with petroleum plastics. We purchase from several manufactures and sources allowing us to choose the most effective products available. We deliver these great products Monday-Friday to local businesses and can offer drop shipment and brokerage solutions for much of Texas. We support non-profits, parties, events and other one off purchases. Please contact us for orders and/or inquiries. At this time, products are really only certified compostable in relation to larger scale composting operations. The items we sell are certified compostable to product specific ASTM standards or are BPI certified compostable. Click here for more info. I was told once that ‘Styrofoam’ was invented in Texas, not sure if this is entirely true, but a Chemist at Dow Chemical created it during the Second World War and its first application was as an “unsinkable” buoyancy billet by the U.S. Coast Guard in their six-man life rafts. It was patented in the US in 1944. Its uses have grown since its inception and its painfully low cost keeps it hanging around in the food service industry. We believe it is time to end this misery as far as a vehicle for our food is concerned. Petroleum plastics make up so many items. They create pollution in material extraction, production and last intangibly long. When plastic starts breaking down it does so into smaller and smaller pieces while leaching other by-products, some which should be considered undesirable. We try to contain much of this waste but more and more of it finds it’s way into the environment, our water systems and ultimately effects our ecology. Even common plastics that get captured in the recycling stream sometimes will not actually be recycled back into reusable plastic, due in part to contamination, poor demand and or low resale price of certain numbered plastics. Often these plastics get stock piled in hope of a better future, land filled or incinerated sometimes as ‘pellets’ with other fuels and waste matter to generate power or heat. Plastics that do get chosen for recycling often have to travel to Asia/China first. Before returning again in its new form to possibly be recycled once more. This can only continue until the plastic quality is degraded to the point it can’t be recycled. We believe that we are at a point where we should chose the available alternatives to petroleum plastics wherever possible, to help support our environment and make that move towards a more sustainable future. Making disposable products out of plants not petroleum is a common sense move towards lower environmental impact. Growing plants is less polluting than extracting petroleum. Plants absorb CO2. Plants can be renewed annually in many cases. Using plants in manufacturing processes usually requires less energy and chemicals. The production processes required to produce finished products are also less likely to cause waste, pollution or other environmental stresses. We are blessed to be in a city with such fine food services. The stimulating mix of independent businesses and open-minded clientele gives us confidence that we are in a motivated market that wants to benefit from using compostable products. Perceived cost difference is one of the biggest factors in holding businesses back from making the change. Our company wants to keep the price differences as low as possible. We also want to help businesses be recognized for their conscious choice to support a greener future. Please support our friends and community. Let them know you appreciate what they are doing. Mentioning our name is good too! !